... 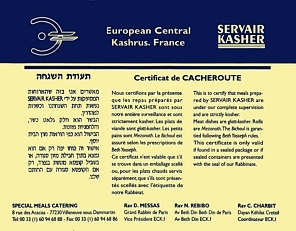 Suppliers of prepacked, sealed kosher meals. The gist of the machine-translation is easy to understand. 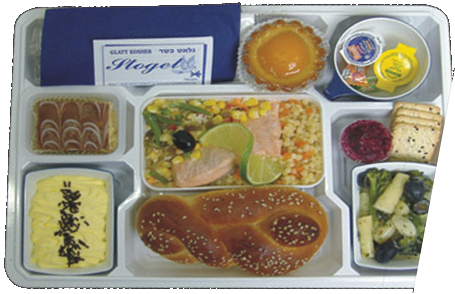 Forward on-line newsletter, 3 October 2015: Cnaan Liphshiz reported that in Russia Pinhas Slobodnik's kosher food manufacturer Pinhas Inc. supplies about 40,000 meals each month to several large airlines which include Aeroflot and British Airways. In November 2005 I bought on-line a ticket for a long-distance flight at very short notice; takeoff was only about 26 hours after I made the booking. 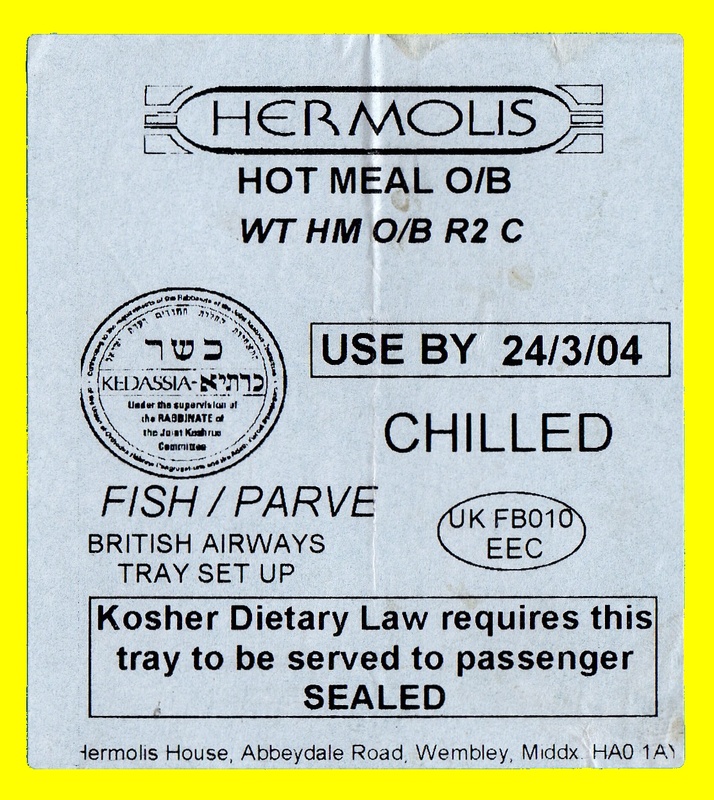 My kosher meal was served on the return flight three weeks later but was not available on the outward flight - there was insufficient time between booking the ticket and the outward takeoff for getting my kosher meal loaded onto the aeroplane. It's worth checking on availability if you book your ticket and kosher meal very close to the departure day and time. The serving of airline meals may be delayed for several hours due to delays in takeoff. 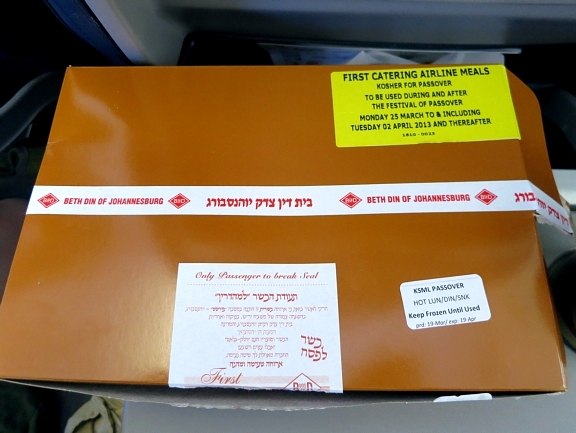 If you suffer from diabetes or hypoglycaemia and need to eat at specified intervals then pack a meal of suitable packaged foods in your cabin luggage so that you can eat whilst waiting for your kosher airline meal to be served. 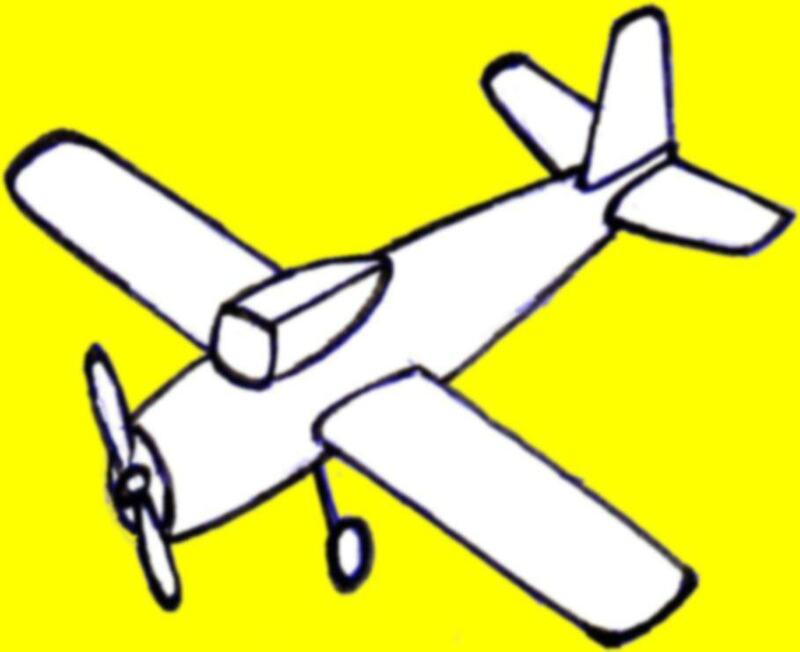 R.S.H. Supervised by Beth Din Tzedek Lugano. 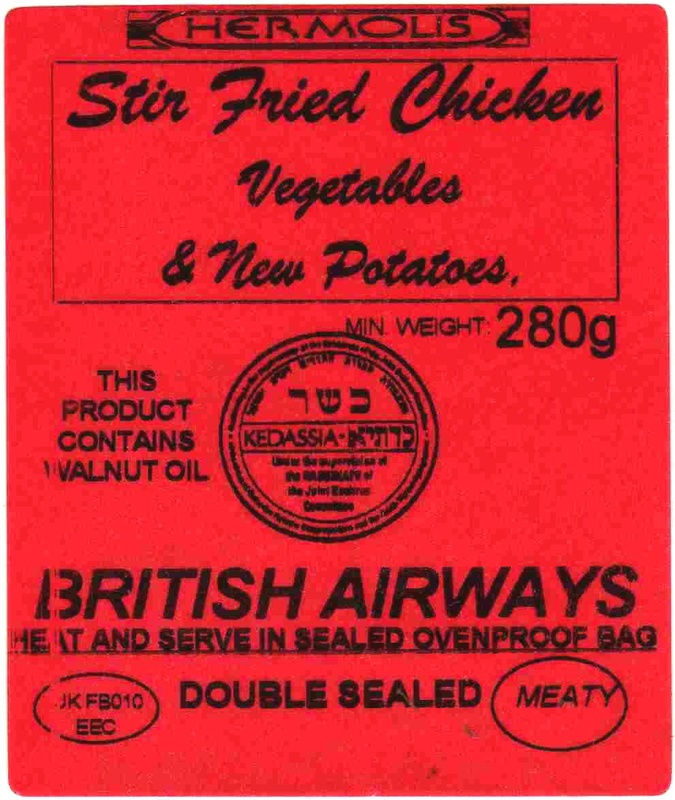 Weiss Kosher Cuisine of Brooklyn, NY, U.S.A., supplies airline meals and works in partnership with Cuisine Innovations, LLC. The latter is supervised by the Orthodox Union OU. Illustrated descriptions of airline kosher meals served by American Airlines, British Airways, Cathay Pacific, El Al (34 pictures), KLM, Qatar Airways, United Airlines and Zoom Airlines may be seen at http://www.airlinemeals.net/indexSpecialmeals.html. 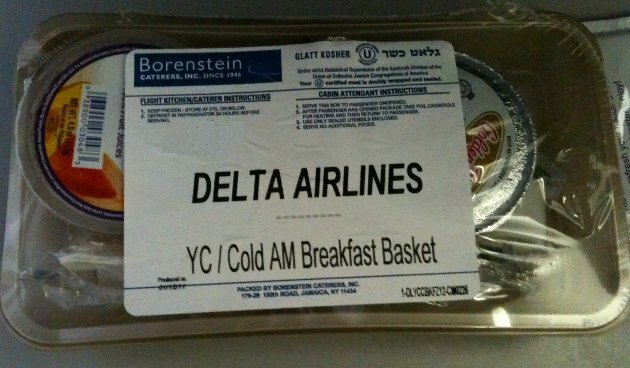 Airline vegetarian meals including some kosher meals. 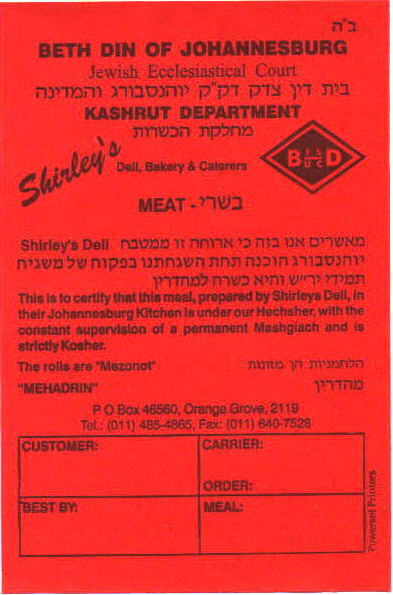 Supervision: Johannesburg Beth Din, South Africa, (q.v.). 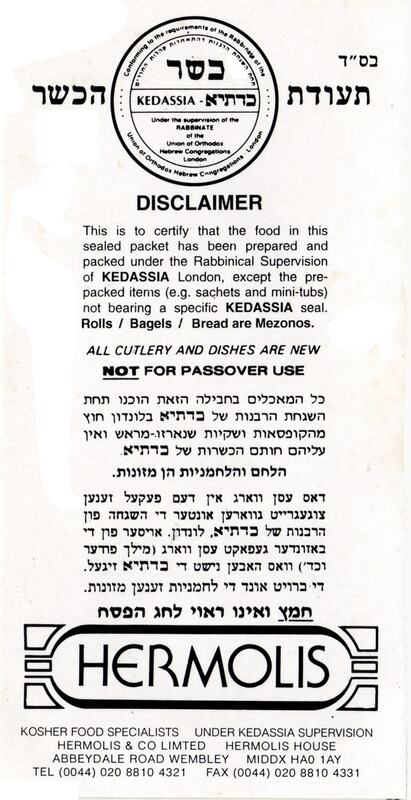 Kedassia hechsher granted to Hermolis: http://www.hermolis.com/appro.htm. Two additional certificates are shown; CMi and STS. These are not hechshers.